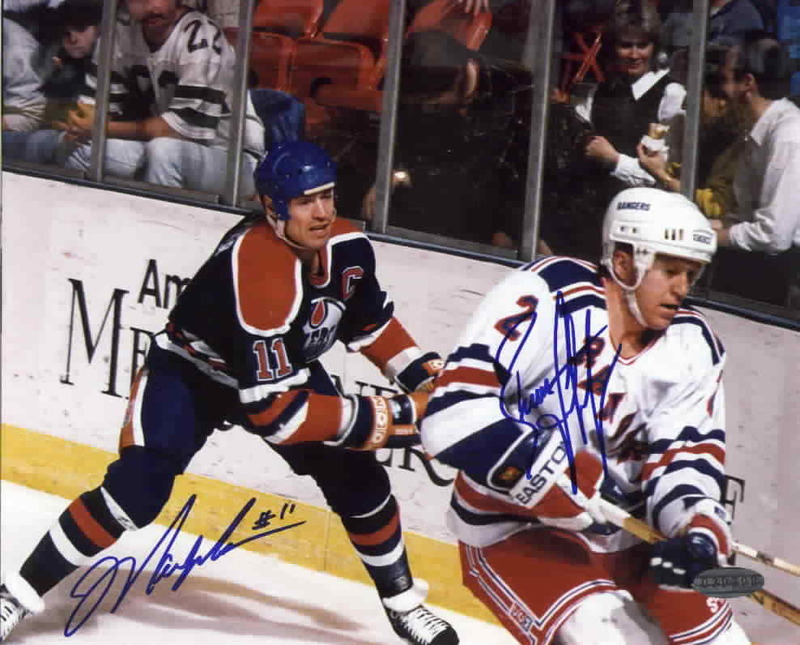 Vintage 8x10 of Brian Leetch and Mark Messier doing battle along the boards, autographed by both Future Hall of Famers in blue marker. Authenticated by Steiner Sports, with their matching numbered holograms on the photo and certificate of authenticity. ONLY ONE LEFT.